Pfc. 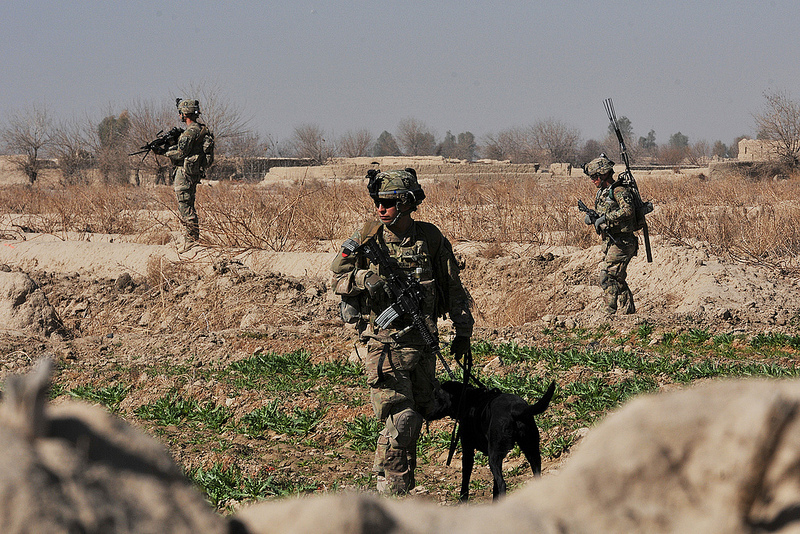 Franklin Sena, an infantryman and Tactical Explosives Detection Dog handler with Company C, 4th Battalion, 9th Infantry Regiment, Combined Task Force 4-2 (4th Stryker Brigade Combat Team, 2nd Infantry Division), and his dog, Livee, work together during their first mission as a team during a dismounted patrol Feb. 7, in Shubazai, Afghanistan. Sena received nine weeks of training to be a TEDD handler and is currently deployed to Afghanistan in support of Operation Enduring Freedom.